1. 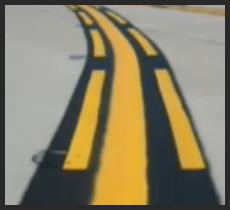 How many runway deviations occur each year in the US? 2. Which of the following is a location sign? 3. 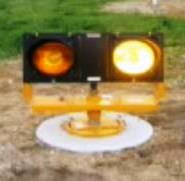 Which one or more of these signs, markings or lighting indicates you are approaching a runway? 1. D: 1,264 in FY2014. The other choices are partial tail #s from SCFC fleet. 3. A, B, and C.
Have you taken a look at the Archer lately? N6848J recently returned from a major avionics upgrade. The Garmin GTN750 features a touch screen GPS/Nav/Comm/MFD which also connects via Bluetooth to your iPad with Garmin Pilot. This highly capable system displays charts, traffic, and weather, and allows you to fly WAAS LPV approaches down to 200 foot minimums. The S-Tec System 40 is a wing-leveling autopilot. Safety features include heading preselect and hold, turn command in "STB" roll stabilization mode, low and high gain VOR/LOC/GPS tracking, and back course (REV) mode. ADSB in and out These slick new upgrades make it a great platform for IFR training and a great choice for cross-country missions. Stop by today and check it out. We also welcomed another glass cockpit Skyhawk in December. N6198N is just like N63251, a G1000-equipped 2008 C172S. The GFC-700 integrated autopilot reduces workload on cross country and IFR flights. Along with the arrival of N447S/Bay Flight 44 comes the opportunity to offer helicopter aerial tours. Since aerial tours are more fun when you bring along a friend or two, the 4-seat R44 helicopter is the ideal aircraft for the mission. We have received approval from the FSDO and have begun showing Bay Area visitors and residents stunning, bird's eye views of the Golden Gate Bridge, downtown San Francisco, Alcatraz, and other famous SF landmarks. Aerial tours make great gifts for friends, colleagues, out-of-town guests, and anyone else you may want to impress. Call today to schedule your helicopter or airplane aerial tour (650) 946-1700. Running out of fuel in flight is the worst of the stupid pilot tricks and the easiest to avoid. Good pre-flight fuel calculation with an adequate safety margin to account for unexpected winds or route changes should allow every pilot to land with an hour or so in the tank. If you have landed with less than that, then you narrowly avoided an in-flight emergency. Some pilots top off the tanks before each flight, which certainly gives them the most available fuel for that flight. Weight and balance issues aside, this practice can lead to fuel complacency, without a clear understanding of real fuel burn. Strive for more. Be sure to dip your tanks before and after your flight, and learn to better estimate what your aircraft actually consumes in different phases of flight. And be sure to land with plenty of fuel in the tank as a sign that you planned your flight well. 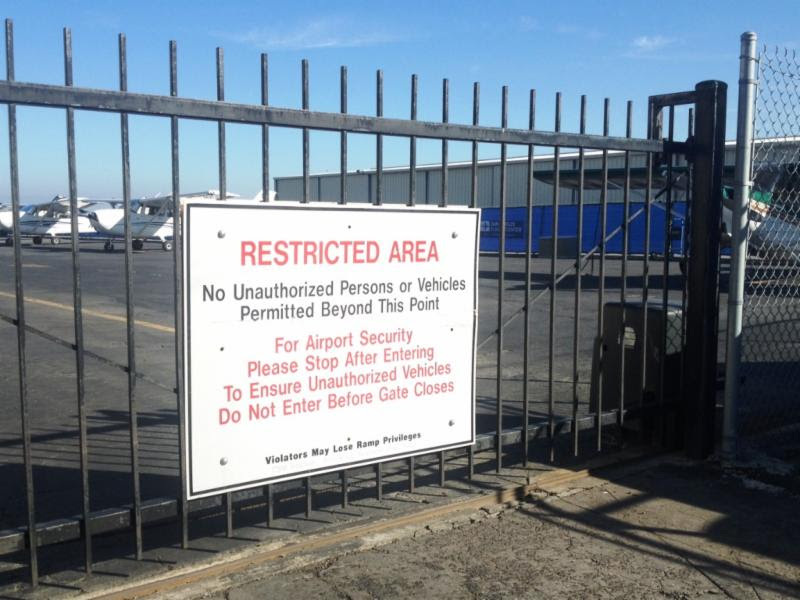 Our aircraft parking areas include Zone B, the area right of the hangars that is accessed through a vehicle gate. It's a little unusual - walking through a vehicle gate using a remote entry key - but treat it the same way you treat access to other secure airport safety zones. Safety requires your awareness. Stop and watch the gate close. This keeps the ramp secure from lost pedestrians, stray pets, terrorists, and anyone else that doesn't belong behind the safety fence. It may seem like an inconvenient waste of ten seconds, but it is required safety procedure for all airport personnel. On initial contact with any facility, aircraft type is always included. 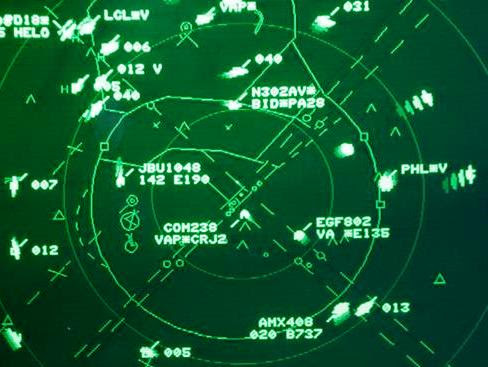 Type communicates flight characteristics which are important for ATC to know. This is true regardless of whether you use callsign or tail number. If you get a radio handoff from one controller to the next, or if you hear the voice of the controller change as one takes over, use the aircraft type on the next call to re-introduce yourself. Once communication is established, repeating aircraft type in each call is up to you. Sometimes restating the type on certain radio calls can help other pilots on frequency understand what type of aircraft to look for. Again, this is true regardless of whether you use a callsign or a tail number. "San Carlos Tower, Arrow Bay Flight 17, Crystal Springs 2000, landing with Kilo." AKF: My husband, Mike, inspires me to act on my passions. From track days to triathlons, hang gliding to motorcycle riding, surfing to skydiving, and now finally to pursue what has always been a part of my DNA, to fly! And also Amelia Earhart, who showed those of us like her that it can be done. SCFC: What has been your biggest challenge so far in learning to fly? AKF: Radio communications. The perfectionist in me is putting up a good fight, but I'll win! AKF: To fly solo! I can't wait to feel the rush of flying totally on my own to wherever I want to go. I also want to fly to Calgary, Canada, to pick up my favorite cousin who was recently diagnosed with Parkinson's disease and take him flying. Ultimately I want to find a way to have flying be a part of the rest of my life. 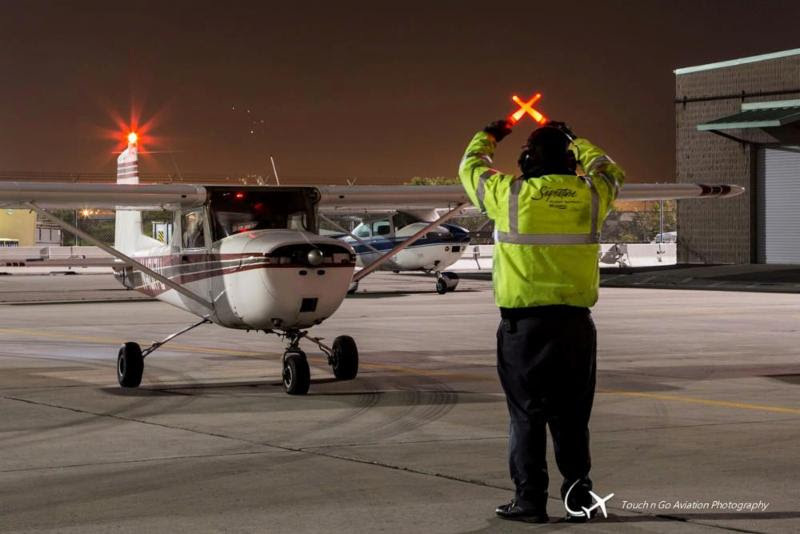 SCFC: What advice can you give to other aspiring pilots? AKF: Do it your way. Experiment with different ways of learning, in your own time. And especially for other aspiring women pilots, "dare greatly!" That's from my favorite quote 'The Man in the Arena' by Theodore Roosevelt, April 23, 1910. AKF: I'm fortunate to be part of an amazing team of people making great things happen at Twitter. I'm also training to improve my 5k mile speed to 9:15. And I enjoy spending time with my 2 daughters, 2 dogs, 2 cats and 1 husband. The Upwind Summer Scholarship Program is undergoing some important and progressive changes. The paperwork has been filed for the Upwind Foundation, Inc. Once approved, this will officially grant Upwind nonprofit status and allow all contributions to the program to be tax deductible. The Upwind Foundation Board of Directors is in place, and is currently finalizing the details of this year's scholarship program. As in past years, the program will provide a complete flight training scholarship, from ground school to checkride, to a high school student during the summer between their junior and senior years of high school. Applications will be available on the web site by January 31. Completed applications are due by February 27, 2015 at 5:00pm. On Saturday February 7, San Carlos Flight Center is hosting Silver Eagles, a tribute to elder aviators. The EAA's wonderful Young Eagles program offering free short airplane flights to young people interested in aviation has inspired SCFC to create a program to honor our fellow pilots who are no longer flying. We plan to welcome back pilots for whom age or physical limitations has forced them to put away their PIC wings. If you know of an older aviator that would enjoy the chance to see the view from up top once again, please invite them to participate. If you are a San Carlos Flight Center pilot and wish to share the joy of flight with a former aviator, please contact Terry Fiala at terry@sancarlosflight.com about renting one of the SCFC planes set aside for that day. What happens when 20 VFR pilots set out to log a landing at SFO Class B airspace? A lot of adventure and a great learning opportunity. On Saturday, January 3, the Bay Area FlyOutGroup journeyed to San Francisco International as a special 2015 Full-Moon Flyers event. The pilots attending a pre-event safety briefing covering approach and tower operations and then launched into the clear, calm night skies. Although each pilot operated independently, the group reformed at Signature Flight Support on the north ramp at SFO where food and soft drinks were waiting. Excitement was high as for most it was their first Class B landing. The family and friends who came along for the ride were treated to spectacular views of the SFO runways, taxiways, and terminal buildings. The event went off safely, but not without some educational opportunities. FOG plans to hold a formal event debrief, with lessons learned and photo sharing sometime in February. 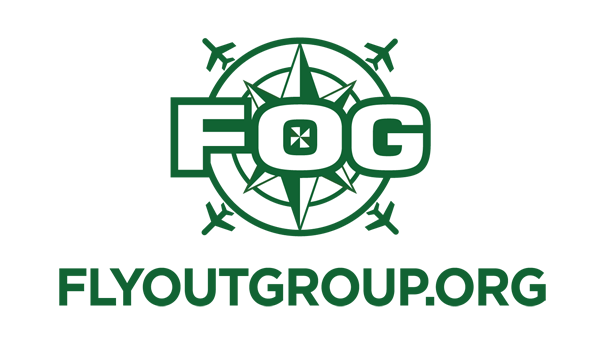 Grab your favorite plane and a friend or two and join your FOG friends for the inaugural 2015 FOG lunch. This month we fly to Los Banos Airport (LSN) and have lunch at the Black Bear Diner. Meet in transient parking in Los Banos at 12:00pm, and walk to lunch as a group. Click here for complete details, including how to sign up. See you in Los Banos! It's a new year, and a new session of Private Pilot Ground School has begun. 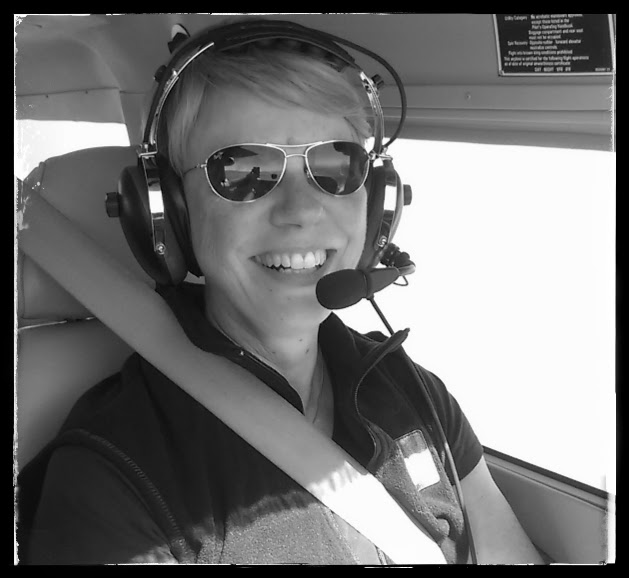 Our popular ground school runs on a 12-week cycle set in a continuous loop. Begin at any time during the cycle, attend for 12 weeks, and you will have completed the course. Classes are offered Sunday mornings at 10:00am and Tuesday evenings at 6:30pm. Call today to join (650) 946-1700.